Truck Accident Wrongful Death & Personal Injury Lawyers Ventura, California! Ventura Personal Injury Lawyers With 40 Years of Experience and 95% or Better Winning Rate! Ventura truck and car accidents cause devastating injuries and property damage. Dealing with truck accident insurance companies, DMV rules and California procedures and statute of limitations can be a daunting task best suited for experienced personal injury & wrongful death accident lawyers. With extensive legal experience of over 40 years in successfully resolving thousands of wrongful death and personal injury claims in Ventura, Los Angeles, and all of the California with over 95% winning rate, we are a team of attorneys, serving all of Ventura, California, including Oxnard and Simi Valley. Our Ventura wrongful death and injury truck collision lawyers fight for maximum compensation and help our clients with complex legal formalities and procedures, like the statute of limitations and other time deadlines involved in the injury claims process. Our injury lawyers and law firm strive for 100% client satisfaction and work tirelessly to help our clients with all accident related problems and to obtain maximum compensation for their injuries. Call us now at 818-222-3400 or 1.866 INJURY 2 (after hours dial "1") for your FREE consultation and case evaluation and remember with our personal injury and wrongful death lawyers we work on a contingency fee. That means in addition to our absolutely FREE case consultation, there is NO fee until you win and then the fee comes out of the recovery usually paid by the other party's insurance company and not out of your own pocket! You may also click here 24/7 to contact us now. Vehicle Repairs: Trucks, cars and other vehicles are likely to suffer great damage in Ventura truck and car accidents. Knowing this fact, our truck accident lawyers assist our clients with vehicle repairs covering towing, storage, free rental and repairs. Medical Care: In many truck traffic road accidents, serious injuries happen. We assist our clients in finding and making appointments with needed medical doctors, chiropractors, physical therapists and other medical experts, such as orthopedic surgeons, neurologists, psychologists, dentists for jaw and teeth injuries, MRI and other scans, etc. These medical experts usually provide necessary treatment without expecting payment until your claim is resolved. Cash Advances/Emergency Loans: Our truck accident injury attorneys know that ruck and car accidents can adversely hamper your financial state. Medical bills stack up and often earnings drop, sometimes drastically. Thus, we assist you in procuring emergency loans and advances, as appropriate. Transportation to Doctor: We arrange medical appointments and visits for our clients as requested and we also often can find transportation for our clients to get to their doctors then back home, as well. If you need help to get to your doctor or the car repair body shop, just let us know right away so we may try to help you! If you sustained a truck or car accident with an injury, contact us now for your FREE & CONFIDENTIAL truck accident injury consultation for Ventura, CA. Just click here and fill out the form. Further, visit our lawyer profiles to know about the experience of our accomplished personal injury attorneys. Further, to learn about the procedures and formalities involved in handling personal injury claims, please look through our Truck Injury Accident Web Site and for specific counseling on your particular truck accident injury or death case, simply call us now at 818-222-3400 or 1.866 INJURY 2 (after hours dial "1") or click here 24/7. We want to help you and you will be glad you contacted us. Remember, our consultation is absolutely FREE and on injury accident cases our Ventura personal injury lawyers work on a contingency basis. That means there is NO fee until you WIN and then the fee comes out of the recovery usually paid by the other parties' insurance company and not out of your own pocket! Truck accidents in Ventura sometimes cause terrible injuries, property damage and sometimes deaths resulting in wrongful death accident claims. 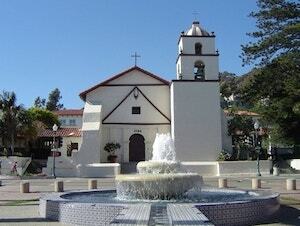 The county seat of Ventura County, California, is Ventura (a.k.a the City of San Buenaventura) and has a population of 106,433, according to the 2010 census. Ventura has a total area of 32.1 square. Located northwest of Los Angeles on the California coast, the Ventura River lies along the western portion of the city stretching north. Also, the Santa Clara River hems in the city's southern portion. Further, a large part of the eastern portion lies on relatively flat alluvial coastal plain and along the western edge of the Oxnard Plain. The major roadways through Ventura include the Ventura Freeway (US Route 101), linking San Francisco and the California Central Coast to the north and Los Angeles to the south. Besides this, State Route 118 and State Route 126 head east to Simi Valley and Santa Clarita, respectively. 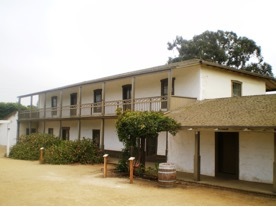 Some of the major attractions in the city of Ventura are Ventura Visitors Center, Majestic Ventura Theater, Plaza Park, Pierpont Bay, Patagonia, Olivas Adobe, the Ventura Harbor, Mission San Buenaventura, Emma Wood State Beach, and San Buenaventura State Beach, Serra Cross Park, Ventura Botanical Gardens, and Albinger Archaeological Museum. Some of the notable actors and actress, born or who have resided in Ventura, include Krista Allen, Briana Cuoco, Susan Backlinie, Edward Winter, Dave England, John McCook, Rossie Harris, Tim Chapman, Ryan Slattery, Michael Sharrett, Karen Hensel and Steve Viksten. Winning injury cases with a success rate of over 95% in our personal injury & wrongful death accident cases! If you were injured in Ventura or anywhere in California, our Ventura and Los Angeles truck accident injury lawyers are here to help you now. Again, to make it easier for you we offer an absolutely FREE consultation and if we take your case there is NO fee until you WIN!. Just fill-in the details in our contact form and let us know about your Ventura, CA truck, car or motorcycle injury or wrongful death case. Besides a FREE consultation, we don't charge a penny until You WIN! We offer you the much-needed legal expertise to fight the insurance companies to recover settlements they owe so you receive the compensation that you deserve you rather than settling for anything they might decide. We charge and receive a fee only when we WIN!